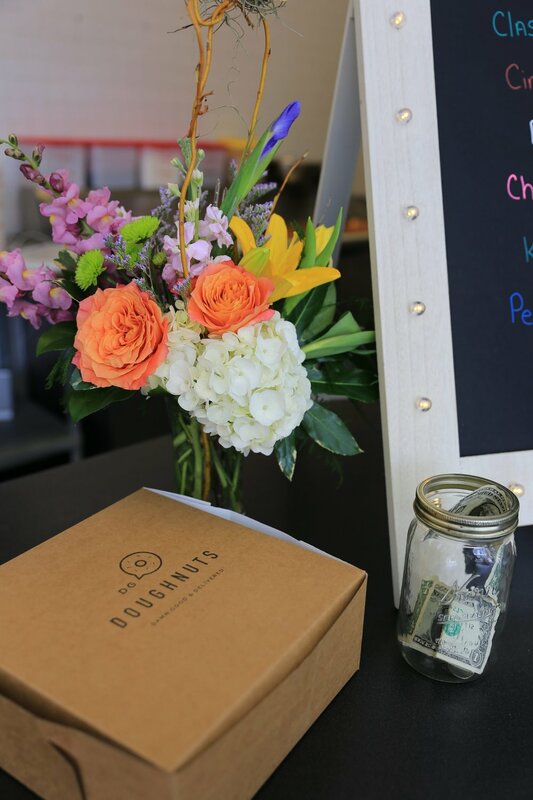 If you are familiar with DG Doughnuts you are probably among the many people (myself included) who have been patiently waiting for Amanda and her gang to find a new permanent place to set up shop. After months of searching, DG Doughnuts has found a home and is officially open. 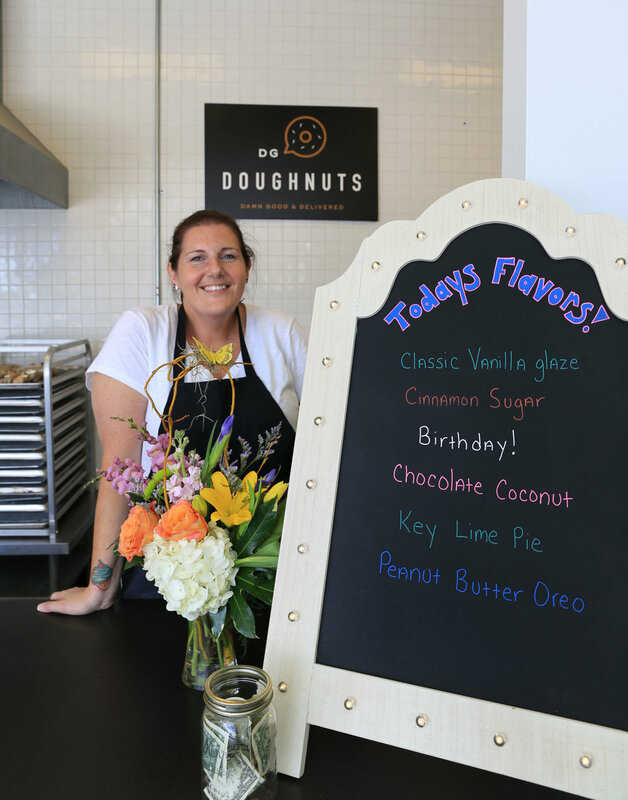 If you haven't heard of DG Doughnuts before, now is the perfect time to take a trip to the West side of town and get acquainted with a talented baker and her edible passions. The address is 16131 W. Colonial Drive in Oakland. Oakland is charming little town just past Winter Garden. You may have driven right thru it without even knowing. What you are looking for however, is not a small little doughnut shop. You are actually looking for a white gas station. Yes, a gas station! DG Doughnuts is set up inside the Chevron station at the corner of W. Colonial and Tubb Street. This location is also right off of the turnpike which makes it quickly accessible to visitors coming from all directions. The hours right now are 7AM until 2PM or sold out. They will be open 6 days a week Tuesday - Sunday, closed Mondays. 3. What items can you purchase? 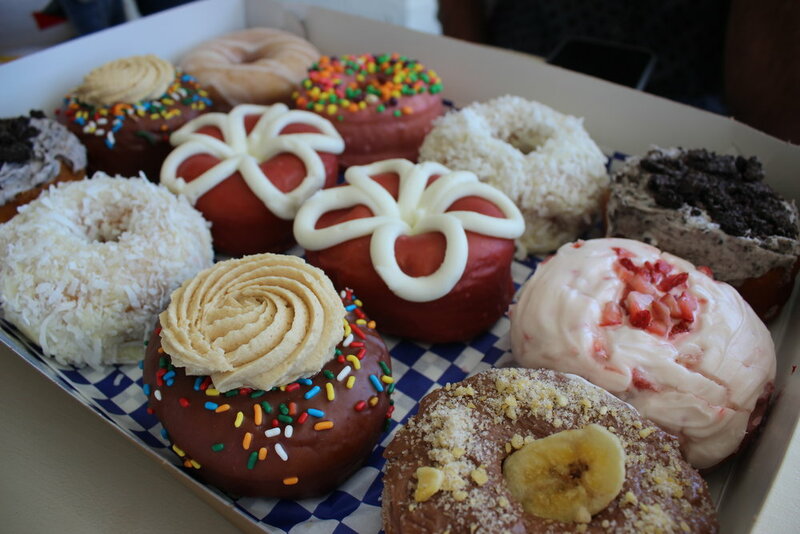 There will be six rotating flavors of doughnuts along with their signature larger-than-life fritters, and doughnut holes. There is no coffee being sold by DG Doughnuts at this time, but they may offer a special brew in the near future. 5. What at the prices? A dozen is $30 (assorted), a half-dozen is $15, single doughnuts are $2.75, fritters are $5, and plain doughnut holes are $3.5o for a dozen. 6. Are there specialty doughnuts available? There are no gluten-free or vegan doughnuts available. 7. Will they keep delivering doughnuts? Amanda wants to get the new counter running like a well oiled machine before they dive back into deliveries, but they will revisit that option soon for customers who live further out from the new home base. 8. There is a drive-thru window, will you use it? Yes, starting this weekend you can purchase doughnuts using the drive-thru window. There is no speaker to use, just drive up and someone will be there to take your order and payment. There are two small tables inside to use, but this is more of a grab and go space. 9. Is there a limit to how many doughnuts I can purchase? Not at this time, go crazy. 10. Will you take orders and hold doughnuts for pick up? No, this will be first come, first serve for all customers. 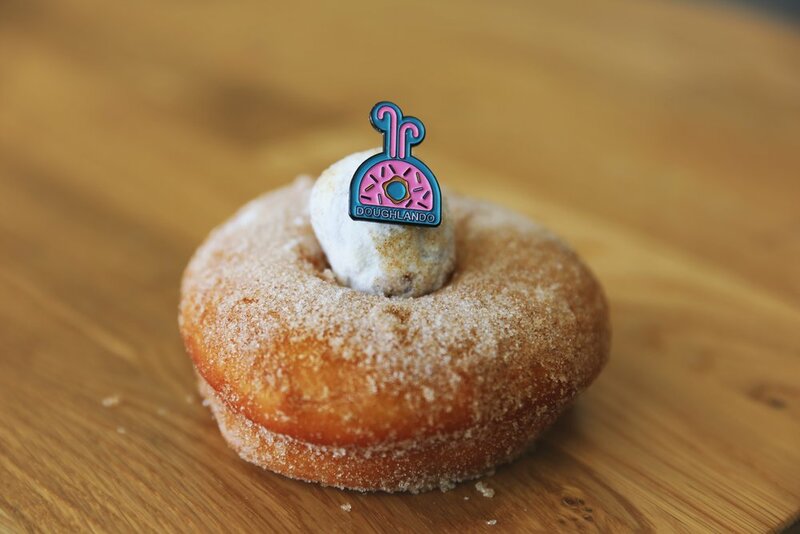 The Doughlando pin pictured is available at RebeccaCarmen.com.